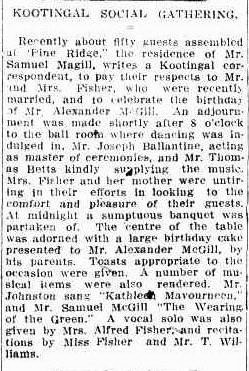 Tamworth Daily Observer (NSW 1910 -1916), Saturday 20 May 1916, page 6. 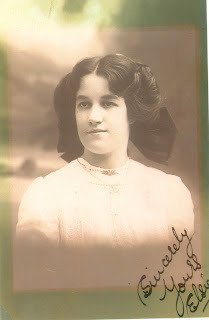 Samuel Magill, was Paul's great-grandfather and Alexander, (Andrew Alexander, k/a Sandy), was Paul's grandfather. The 'ballroom' would have been the shearing shed or barn, as the original homestead was tiny and the new one wasn't built. It is interesting as Alexander was a married man, with children. No mention of them in the article.